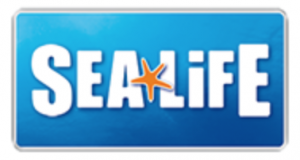 Up to 46% discount on family days out! We have arranged for you and your family to benefit from fantastic savings at the UK’s top attractions! Best discount applies even the day before – so check the weather first! 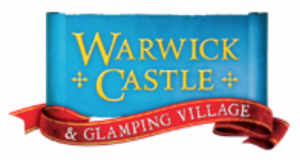 Celebrate over 1,100 years of history at Warwick Castle! Visitors can explore Mediaeval Towers and Ramparts, roam grounds designed by famous landscaper Capability Brown and marvel at the Great Hall and State Rooms. A whole new LEGO world of awesome awaits in 2018, with over 2 million LEGO bricks set to be installed into the Resort’s world famous Miniland attraction and LEGO Reef. 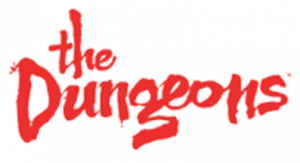 The Dungeons are a must-see visitor attraction that brings together an amazing cast of theatrical actors, special effects, 360 degree stages and scenes in an exciting walkthrough experience where you will hear, touch, smell and feel over 1000 years of history moving from show to show. It’s funny, scary and keeps you on the edge until the very end! 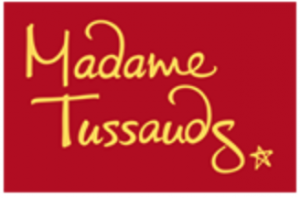 Walk the red carpet at the legendary Madame Tussauds London and meet the world’s most famous stars from Hollywood to Bollywood, and The Royal Family to Rock Royalty. Get up close and personal with Tom Hardy and Eddie Redmayne NEW for 2018. An invasion of Walkers descended upon the Island during FRIGHT NIGHTS and we thought the battle against the dead was won…we were wrong. 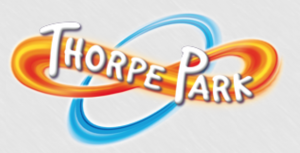 This season, the apocalypse is nigh at THORPE PARK Resort with a deadly calendar of unmissable events. With over 40 rides and attractions in 10 themed lands, a Zoo and SEA LIFE centre with over 1,000 animals, Chessington World of Adventures Resort offers a world of excitement for the whole family to enjoy. 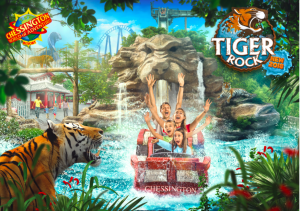 NEW for 2018, Tiger Rock, an exhilarating log flume in NEW Land of the Tiger. Get a unique view of our majestic Amur Tigers, before descending a misty waterfall drop, right through the centre of a giant tiger’s head carved into the imposing rock. At 135 metres, the Coca-Cola London Eye is the world’s tallest cantilevered observation wheel, with 40 kilometre panoramic views on a clear day. Take in spectacular views of London and its famous landmarks such as Big Ben, Buckingham Palace, St Paul’s Cathedral, Westminster Abbey and Trafalgar Square. Dive in and be wowed by the many strange, beautiful and fascinating creatures of the deep as your journey through the amazing underwater world of SEA LIFE. Prepare for astonishingly close views of everything from Gentoo penguins to tropical sharks. The Alton Towers Resort is renowned for ground-breaking, world-first rollercoasters and is home to a fantastical combination of rides, attractions, shows & themed accommodation for thrill-seekers, families and kids of all ages. New for 2018 Wicker Man at Alton Towers Resort Join the chosen ones on the world’s most immersive rollercoaster experience to date, unifying cutting edge special effects with classic wooden coaster technology for the first time! If you are already a member, make sure you LOG IN to be able to get all the benefits. CLICK HERE to join the RLC Foundation Benefits Programme and start enjoying these benefits straightaway!